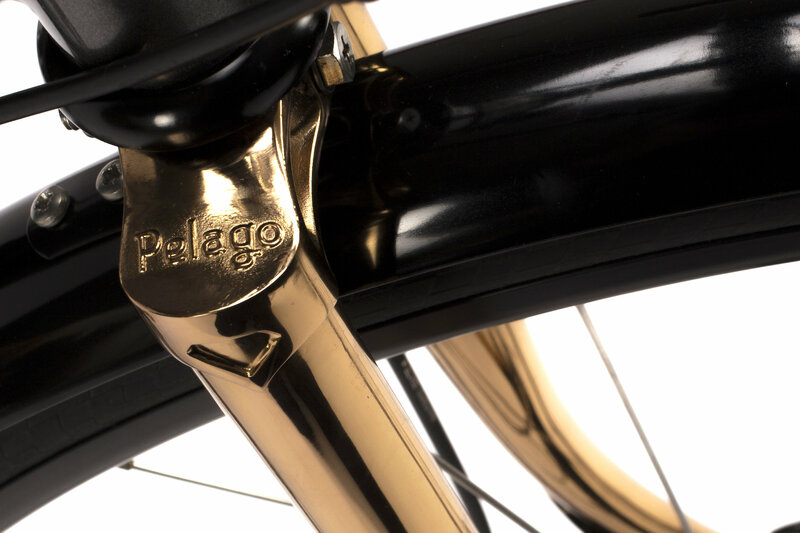 While we’re into the new here, the latest tech and road bikes that can run 650b and 700c wheels and tires, still respect a classic build like the Pelago Stavanger. It was built for the Brooks Dashing Bikes collaboration. Brooks has been celebrating their 150th anniversary by partnering with various builders and the Stavanger pays respect to timeless design aesthetic and represents contemporary spec and uncompromised quality. Regardless of the weather conditions, this versatile bicycle excels at fast-paced commuting, randonneuring and gravel roads. Welded with double butted 4130 CrMo steel, the geometry and details are designed for all road use. 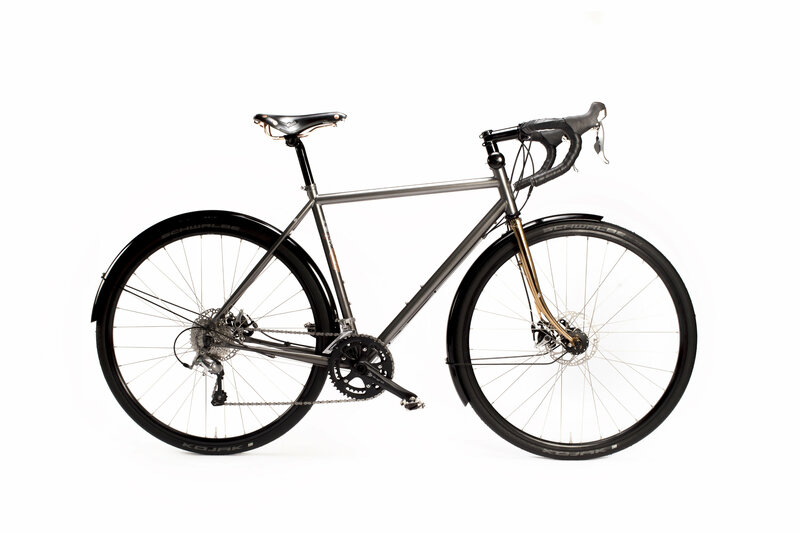 The spec includes Shimano 105 with TRP Spyre mechanical disc brakes; aluminum fenders and mounts for racks, water bottles, and other accessories. Handbuilt in Finland and limited to 15 units the standout Brooks features are a copper plated fork, copper decals, and a hand-stamped issue number. 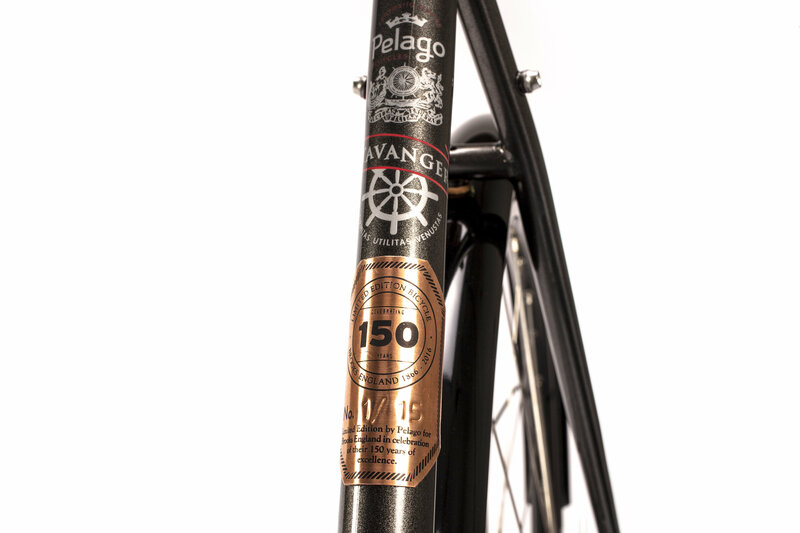 The Stavanger is crowned with the Brooks 150 year Anniversary Swift saddle for max copperness. My take: add a leather mud flap with copper accents too, and that’s too low of a spec for this level of craftsmanship. Thanks but no for the Spyre brakes too. However, I’m sure none of your riding buddies will have seen a handbuilt bike from Finland. It’s unclear how to purchase the Pelago Stavanger, but if interested, I’m sure you can pursue it further. Previous Previous post: A new MacBook Pro or a Bike?